Professional cleaners of Carpets and Upholstery in Nantwich & Crewe. 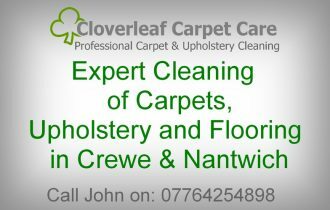 We have been providing a professional cleaning service of carpets and upholstery in both Nantwich and Crewe and have been trading more than 17 years. Both upholstery and carpets cleaned to a very high standard with outstanding results that cannot be beaten using state of the art technology. We also offer professional cleaning of many types of hard floors including kitchen tiles. Being situated in Winsford, we are a local company within 20 to 30 minutes traveling from your area. We cover most areas across the Crewe & Nantwich area including: Acton, Aston, Audlem, Haslington, Leighton, Wardle, Weston, Wrenbury, Wynbunbury Willaston, Winterley, Worleston,Wisaston, Shavington and Tattenhall. Carpets looking disappointing and dull through years of traffic? Why not have them revitalised with deep down cleaning to restore the colour and freshness, just how they should feel and look! Our state of the art equipment cleaning system ensures you get the best possible results in Crewe and Nantwich. We use high performance hot water extraction and vacuum technology which removes soil from deep within the pile and it’s safe for pets and children. Call today for a FREE, no obligation quote for carpet cleaning Crewe & carpet cleaning Nantwich. 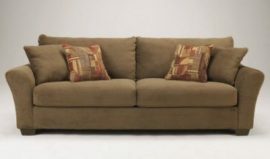 We also provide the professional cleaning of fabric upholstery and leather furniture in Crewe and Nantwich. If you are deciding about having your carpets cleaned, why not consider having your suite, sofa or fabric furniture freshly cleaned. We provide friendly free no obligation quotes for your consideration. 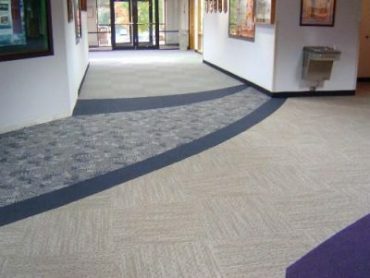 We clean and restore thousands of square feet of carpeting every year to office units, shops, restaurants, hotels, public houses and residential homes in Crewe and Nantwich. Ensure you maintain or improve the image and air quality of your establishment, not only for your prospective clients but also your employees too.